Here’s something that might surprise you about gold: closed-end fund (CEF) managers—at least those I speak to—pay little attention to it. We’ll dive into why right now. Then I’ll show you three gold CEFs you need to keep away from your portfolio. Because gold’s future looks nothing like the rosy past gold bugs love to use to justify their lust for the yellow metal. So why do most CEF chiefs (not to mention celebrated investors like Warren Buffett) shun gold? 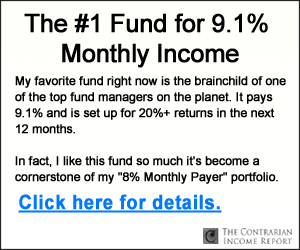 Today I’m going to show you a closed-end fund (CEF) yielding 13.7% that sounds—and is—too good to be true. If you hold it, now is the time to sell. The fund I’m talking about is Eagle Point Credit Company (ECC). Today we’re going to dive into all the reasons why ECC is a CEF to avoid. I’ll also give you five takeaway tips you can use to steer clear of funds like it in the future. We contrarians stayed calm through the market’s fourth quarter hissy fit. We not only held onto our shares through November and December but we also added dividend payers opportunistically to our portfolios. Now, it’s time for us to be a bit more conservative. Most US stocks have rallied so much that they are now “overbought.” This means they’ve gone up pretty far pretty fast and are due for a breather (or, perhaps, another correction). Let’s face it: this frothy market has made it much tougher to uncover the big, cheap dividends you need to fill out your retirement portfolio. 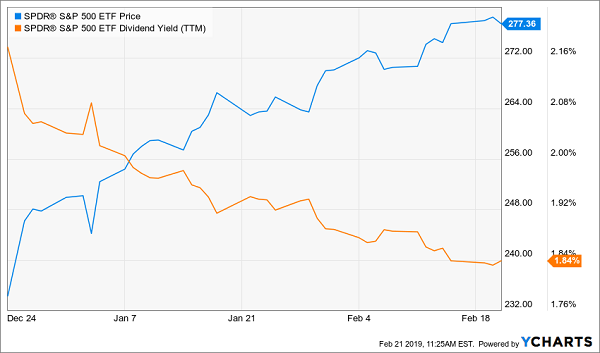 So today we’re going to fight back with my top 2 “off-the-record” strategies for honing in on 7.4%+ dividends that still have a lot of upside ahead. 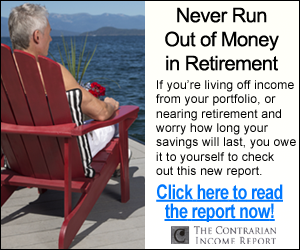 Income investors are typically a conservative and prudent bunch. Focused on a sustainable income stream, they often look for a sign to avoid a big price drop. So when it comes to one of the highest-yielding investments of all—closed-end funds (CEFs)—how can you know when the time has come to sell? 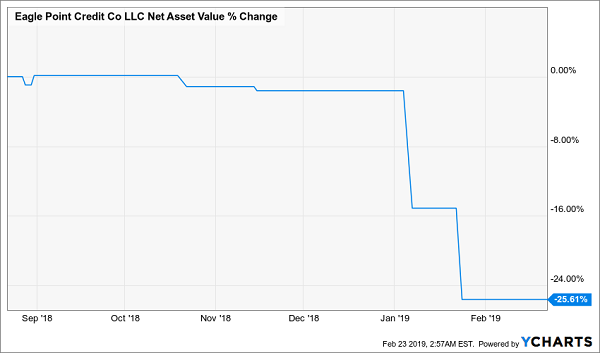 I’ll tackle that question with a 1-2-3 approach to CEFs that will help you avoid the kinds of value traps that promise big dividends but really deliver big losses. The U.S. and China held another round of trade talks in Washington D.C. this week, ahead of the looming March 1 deadline for potential tariff increases. Trading activity was relatively quiet during the holiday-shortened week and the Nasdaq Composite Index ended an eight-session winning streak on Thursday. Investors digested the minutes from the January FOMC meeting on Wednesday and Fed funds futures are now factoring in a 92% probability that the committee will take no action with interest rates in either direction in 2019. Stock-market selloffs provide great times to buy big dividends. The stock market was a relentlessly receding tide in the fourth quarter, which is bad for “buy and hope” investors but quite helpful for income specialists like us. 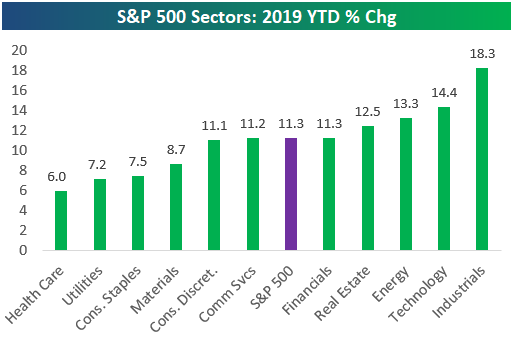 If you own a diverse portfolio of closed-end funds (CEFs), you’re probably sitting on some nice gains in 2019—and there’s a great chance those gains have crushed the S&P 500. So here, at nearly the two-month mark, it’s worth pausing to see where things stand, and where we should be looking for the next big winners. So far, the average CEF is up 7.5% in 2019 and February isn’t even over. This run-up is everywhere, with only five of the nearly 500 CEFs tracked by our CEF Insider service slipping on the year.